When the skin on your scalp is flaky and dry, it's tough to get through the day without itching and having flakes of dead skin fall on your shoulders. If your doctor approves, use olive oil as a natural home remedy to moisturize the scalp and prevent the flaking skin associated with dandruff and cradle cap. In rare cases, an itchy scalp could be the sign of a serious condition, such as ringworm, so speak with your doctor for a diagnosis. 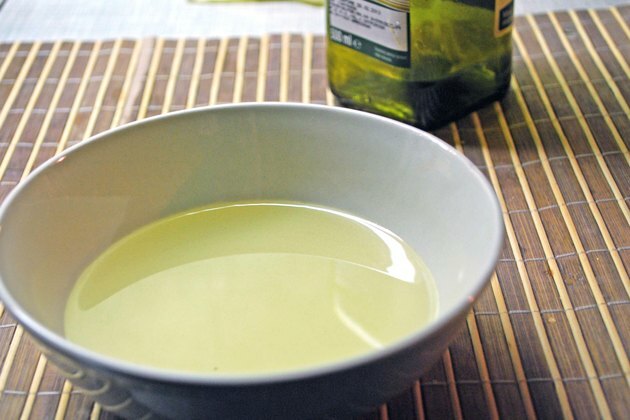 Pour approximately 1/2 cup extra virgin olive oil into a microwave-safe dish and heat it on low until the oil is thin and warm, but not too hot. Using your hands, carefully saturate your scalp with the olive oil, then brush your hair with a natural-bristled hairbrush such as a boar-bristle brush or a wooden-bristle brush, recommends "The Doctors Book of Home Remedies." Leave the oil on your hair for approximately 20 minutes, then wash your hair in the shower with a mild shampoo. Use this remedy twice a week. Fill a plastic zipper bag with 1 tablespoon honey and 2 tablespoons olive oil, then seal the bag. 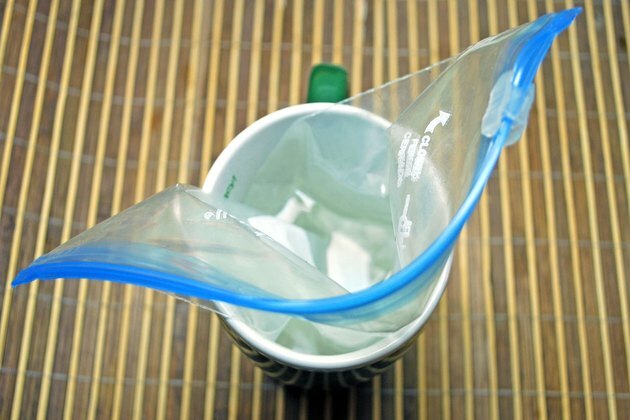 Fill a mug or bowl about halfway with hot water, then place the plastic bag in the water. Allow it to sit for five minutes, then remove the bag. Cut off the corner of one end of the bag, then squeeze the bag over your head to disperse the mixture. Saturate your hair completely, then place a plastic shower cap over your head. Allow the mixture to sit for 15 minutes, then remove it and wash your hair with a mild shampoo. Repeat as needed. Cradle cap commonly affects babies, and an olive oil remedy can moisturize the scalp naturally. The oil removes and loosens dry flakes, and prevents the scalp from drying out. 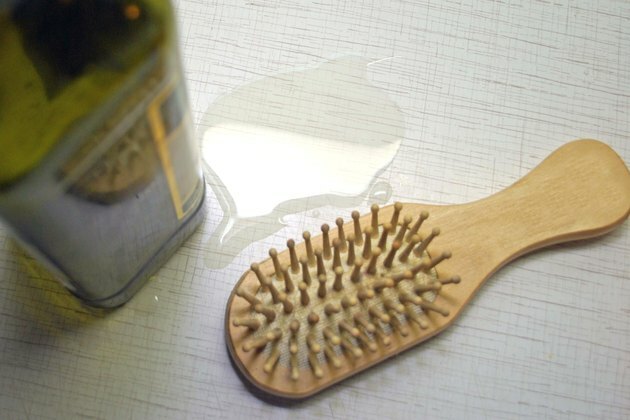 Apply 1 tablespoon of olive oil to your baby's scalp for 15 minutes, then brush her scalp with a soft-bristled brush. Wash her hair with a mild shampoo, and repeat once a week. Hot olive oil may burn or scald the scalp. Do not use hot or warm oil on a baby's scalp. Test the warm oil on the inside of your wrist before using it on your scalp. 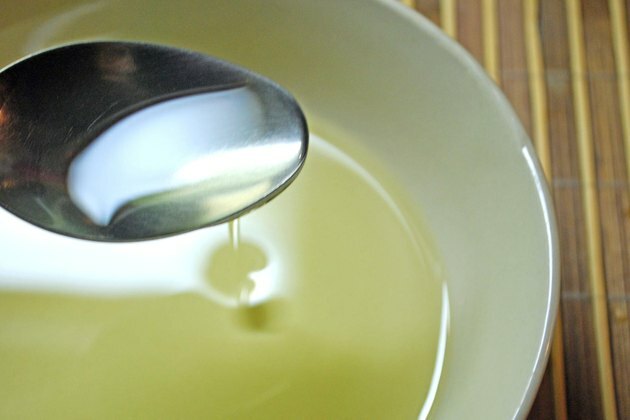 Use extreme caution when heating olive oil in hot water or in the microwave. Wash out the olive oil well with shampoo after using it — if you do not completely wash it out, the pores on your scalp may clog, causing the flakes to stick to your scalp.